Lovers of history, architecture, music, and culture will be spoiled for choice when it comes to the myriad of things to do in Vienna. Mere moments after we arrived in Austria’s capital, it became exceedingly obvious why Vienna is called The Imperial City. Much like the decadence of Klimt’s paintings, the city is decorated in broad strokes with lavish buildings leftover from bygone empires. 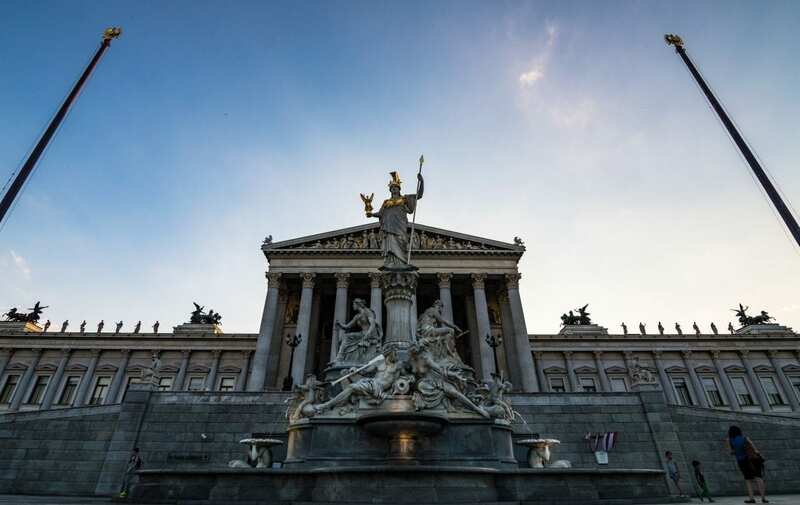 Stately and grandiose, much of the architecture found in Vienna is a reflection of its past life as the capital of the Holy Roman Empire, and later the Austro-Hungarian Empire. However, as with most cities, Vienna (referred to as Wien in Austria and much of central and Eastern Europe) is multifaceted. In the three days we visited, our itinerary was jam-packed with things to do in Vienna. From architecture to the arts, we drank in the beauty of the city with our eyes, relished in its cafe culture, steeped in its musical history, and then sought out a lesser known part of the city. Vienna’s historic center is a sight to behold. 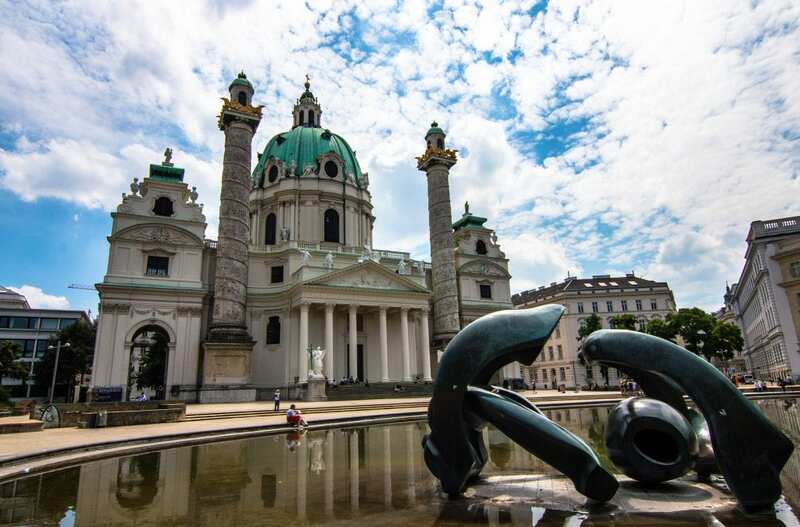 Shaped by the grand aspirations of the Austro-Hungarian Empire, the Baroque columns and domes of Austria’s capital literally shine. You’ll often be forced to squint at the extravagant splendor as the sun traces its rays across the grand white stones and towering spires. Millions of wide-eyed (or squinting, if its really sunny) visitors stroll the wide boulevards and squeeze through the narrow side streets of the city center every year. 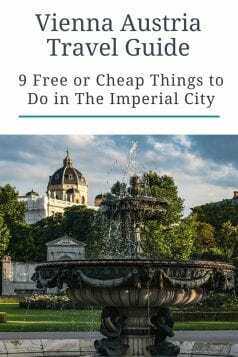 There seem to be a hundred and one things to see and do in Vienna’s center. We reckon you can spend days walking around and still find new things to notice on the incredible amount of chiseled facades, carved sculptures, and grand buildings. 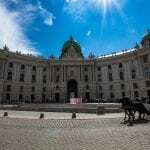 A great place to start your exploration is along the Ringstrasse, known as the Ring Road. 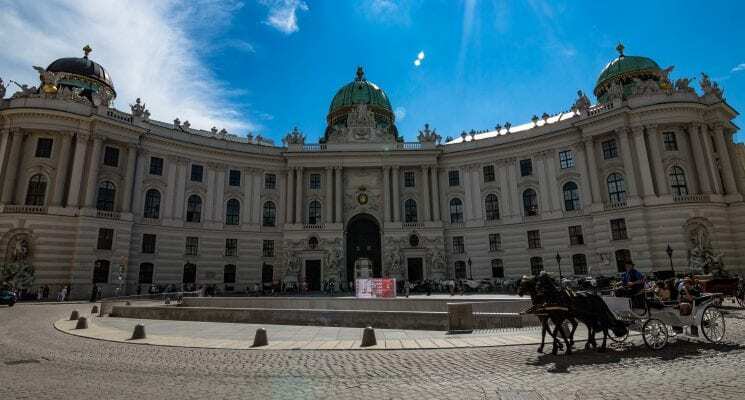 This 5 kilometer stretch runs around Vienna’s center, taking you past sights such as the State Opera, the Parliament building, the Burgtheater, Vienna University, the Votive Church, the Museum of Fine Arts, and the Natural History Museum. 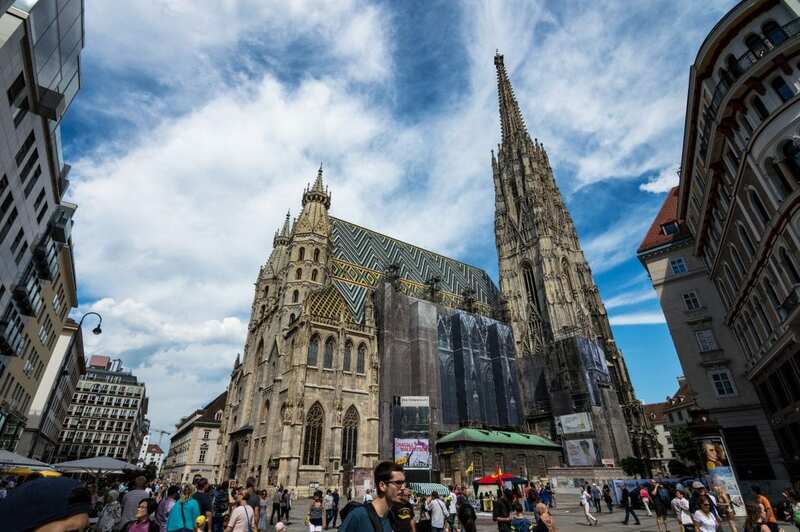 After you are walking around the center head inwards to the very center to visit St. Stephan’s Cathedral. Once there marvel at the fact that the cathedral has been standing in the same spot in one form or another for about 700 years. Let that sink in as you explore St. Stephen’s, and then climb to the top of one of its towers to get a look at the city center from above. 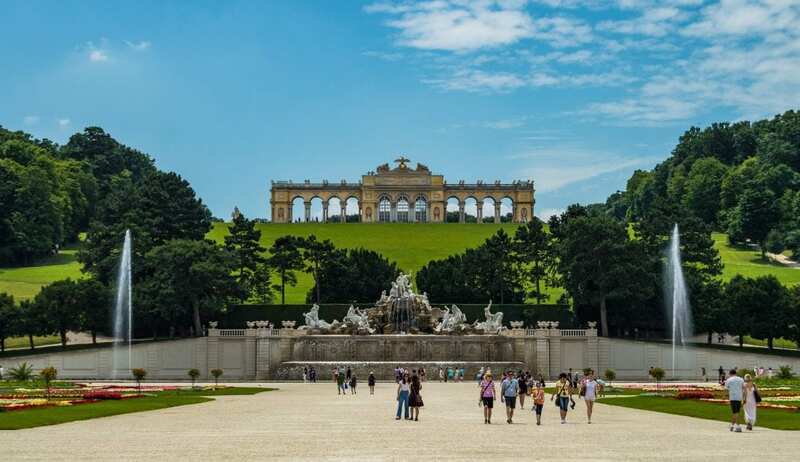 Schönbrunn Palace is one of the most visited locations in Austria, and exploring it should be on the top of your list of things to do in Vienna. This massive, opulent compound was once the summer residence of the Viennese imperial family. Now a UNESCO World Heritage Site, Schönbrunn is composed of the ginormous main palace, and its surrounding gardens. 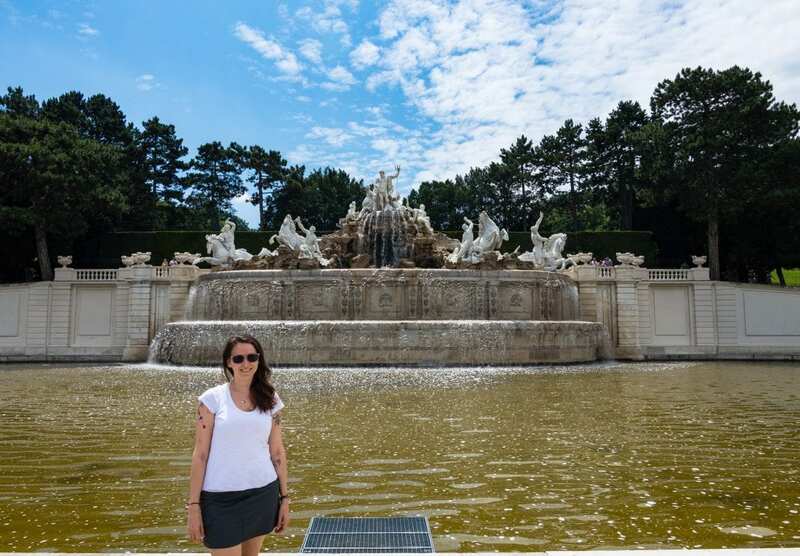 Additionally the palace grounds house a lavish fountain, a gorgeous “Palm garden” decorated with Mediterranean plants and flowers, and the largest and most well-known gloriette in the world. Or so the information board at the palace claimed. For those of you who haven’t the slight clue what a gloriette is, it’s that crazy looking structure on the hilltop in the picture above. Don’t feel bad. We had no idea either. 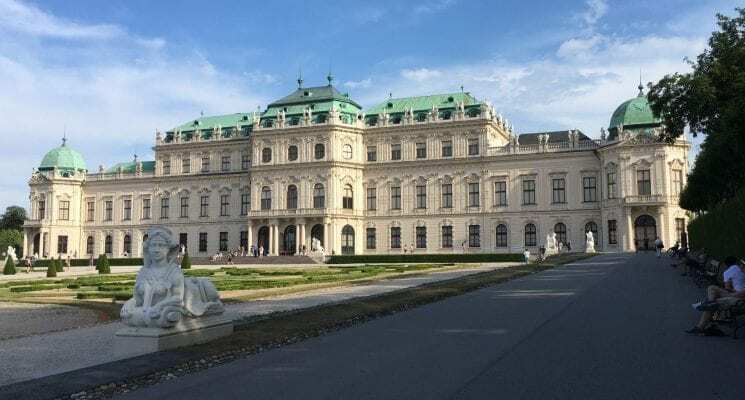 The palace grounds also include a hedge-grove maze which we didn’t partake in, dissuaded by its €11.00 entrance fee, but it seems like a fun activity for anyone looking for things to do in Vienna with kids. Let the little rascals get lost in the maze for a hour while you take a much needed breather on a nice shaded bench. Budget travelers in Vienna will be happy to hear that the entrance to the Schönbrunn Palace is free. Sweeeeeet! Sitting right outside the city center the Naschmarkt is composed of over 120 stalls with food, drink, spices, and wares from around the world. It’s a great place to take a break from exploring the city, rest your weary feet, and indulge in a local or international meal, and some good ol’ people watching. Vegans might be hard-pressed to find dining options at the market, aside from the ever-present falafel, but not to worry. There is an excellent, albeit tiny, vegan restaurant directly across the street from the market called DELICIOUS Vegan Bistro, which we highly recommend. Additionally, the Naschmarket is home to a vibrant and trendy flea market every Saturday. Get your hispter on at Nashmarkt! Vienna and coffee go hand-in-hand. The city has a long-standing love affair with cafes and coffee houses. Traditionally these establishments served a very different purpose than the modern, WiFi oases overflowing with laptops and mocha lattes we refer to as cafes today. Coffee houses in Vienna range from cozy living rooms, to darkened hide-aways, to large and lavish and were more of a social club where customers often spent hours devouring the contents of daily newspapers, writing, playing cards, or having deep discussions with peers. Cafe Central, pictured above, is one of the more famous (and pricey) coffee houses in the city and was opened in 1876. Not surprisingly, the cafe has served a number of notable intellectuals, poets, architects, writers, philosophers, and revolutionists, including Adolf Loos, Leon Trotsky, and Sigmund Freud. Anyone visiting Vienna would be remiss if they didn’t partake in a mid-day coffee at one of the hundreds of cafes. Oh and don’t forget to order a world-renown Viennese pastry to go with your shot of caffeine. 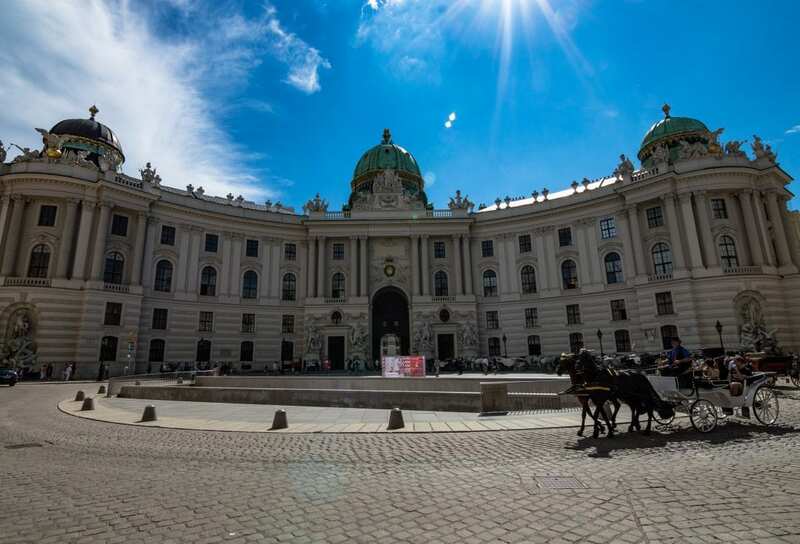 With over 100 museums in Vienna, to say it’s a city that appeals to art and history lovers is an understatement. Visitors have a vast buffet of museums to choose from. 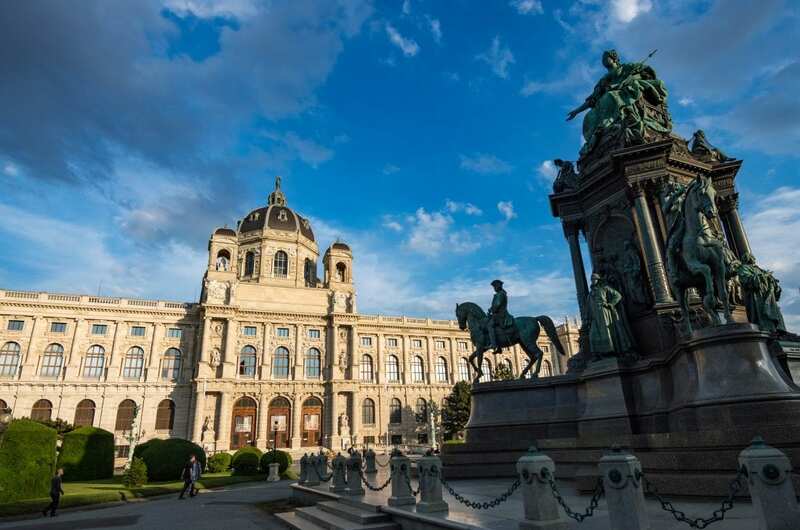 If museums are your thing Vienna has you covered, with everything from from modern art, to works of art by Austrian painters like Klimt and Schiele, to military history, to sculpture, and even off-beat museums devoted to objects like hats and globes. Here are a list of some of what we consider to be the more interesting museums in Vienna. 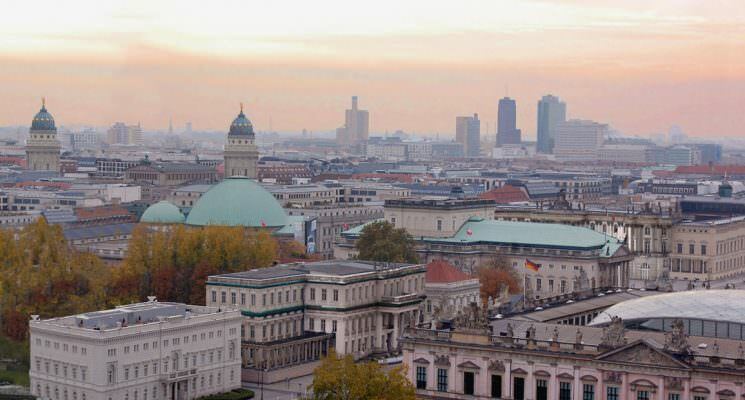 Leopold Museum – includes works from Austrian masters like Klimt and Schiele. If you have to pick only one museum to put on your things to do in Vienna list, this should be it. ZOOM Children’s Museum – Museum devoted to a hands-on approach for kids to learn about science, art, architecture, and culture. For a quick look at Vienna’s art scene, watch this video! If one is in the proper mood when walking the boulevards and plazas of Vienna one can almost imagine hearing fleeting strands of Mozart and Schubert echoing amidst the white stones. Vienna is often referred to as the City of Music, and is even considered by many to be the world’s capital of music. The city was home to more famous composers than you can shake a fiddle at. 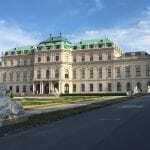 In the late 18th and early 19th centuries Vienna was the site of a flourishing music scene which gave birth to some of the most famous classical music in history. The musical innovation wasn’t stunted by the end of the era, however. The Viennese music scene is alive and well today as the city is currently home to a multitude of styles including classical, opera, jazz, pop, rock, and even electronic. 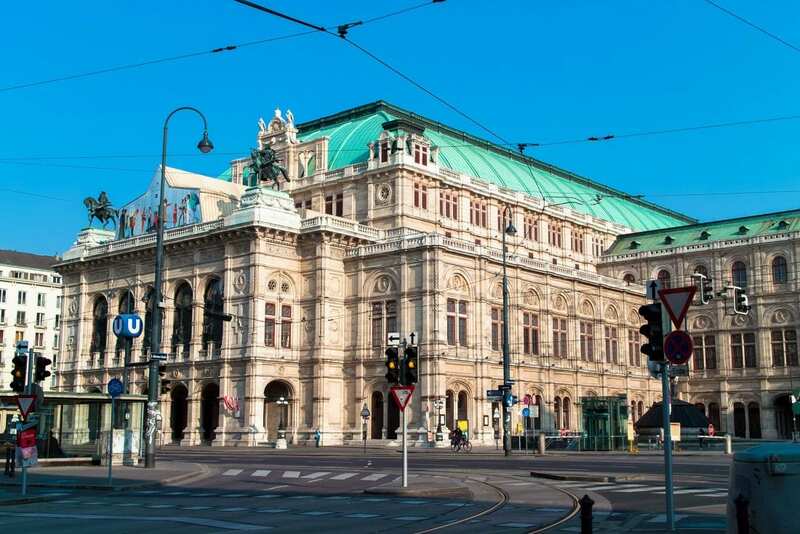 In fact, Vienna hosts music festivals throughout the year, has a notable Philharmonic, and the Wiener Staatsopera (Vienna State Opera) is one of the world’s largest opera houses with up to 60 productions a year. Wiener Staatsopera – If, like us, your travel wardrobe doesn’t include appropriate attire for the opera, don’t despair. Some of the performances can be viewed via live broadcast outside the operahouse on a 50 m² screen. If you are on a super budget but want to immerse in a bit of culture, catching the outdoor opera screening is definitely one of the things you have to do in Vienna. Found in Vienna’s 7th district Neubaugasse lays right off of Mariahilfer Straße, the main shopping street in the city. Neubaugasse offers a respite from Mariahilfer’s neon glow of consumerism and is home to many small boutique shops, cafes, restaurants, and bars. The fairly long street is great place to go to get off the beaten path in Vienna, and to experience a bit of local culture. Don’t be afraid to turn into a side street to wander the surrounding 7th district. We did, and were rewarded by finding an awesome church courtyard that was turned into a makeshift viewing area for a patrons of an adjacent pub who were watching the Eurocup. Austria lost the match in the final minutes, so the crowd went from hopeful and celebratory to downcast rather quickly, but it was still one of those awesome local experiences we crave when exploring a new place. 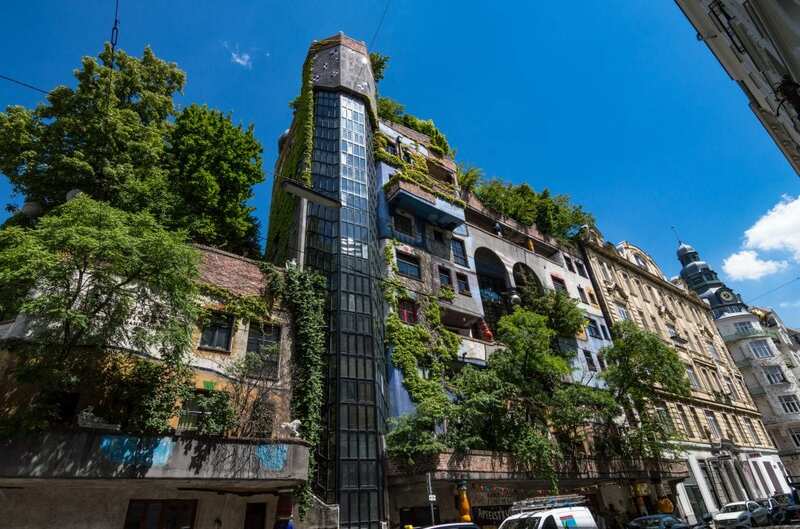 The brainchild of Austrain artist and architect Friedensreich Hundertwasser, this awesome amalgamation of urban architecture and nature is a sight to behold. Friedensreich had some really cool theories and philosophies about incorporating organic designs into his work, and was pretty opposed to simple straight lines. His architecture style includes funky stuff like uneven floors, emphasizing curves, and growing trees INSIDE rooms and out of windows. 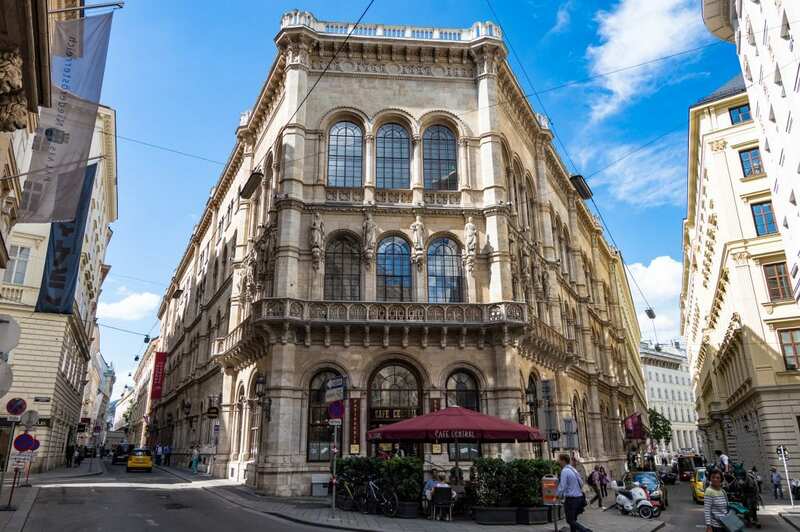 The building will pique your curiosity and give your eyes a much needed break from the typically white and glaringly bright architecture that exists seemingly everywhere in Vienna. The Hunderwasser House, along with Kunsthaus, are absolutely worth the short walk from the city center. One of our most recommended things to do in Vienna, for sure. Check out this nifty video below for a tour of the building and its “village”. There is a LOT to do in Vienna beyond the most apparent tourist activities. 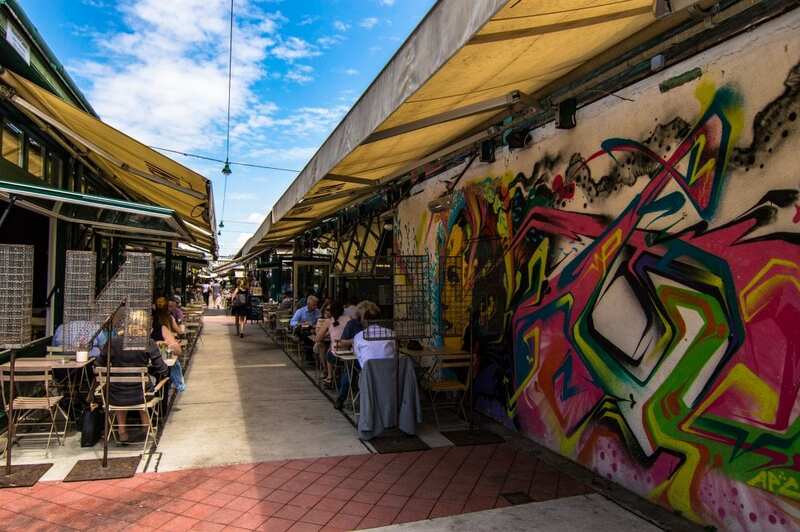 If you enjoy exploring a new location in depth and getting a feel for what local life is like, as we do, you simply MUST get off the beaten path in Vienna. Luckily for you we have an entire article on the topic! 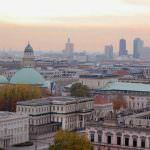 If you guys are looking to find affordable places to stay in Vienna, we have you covered. 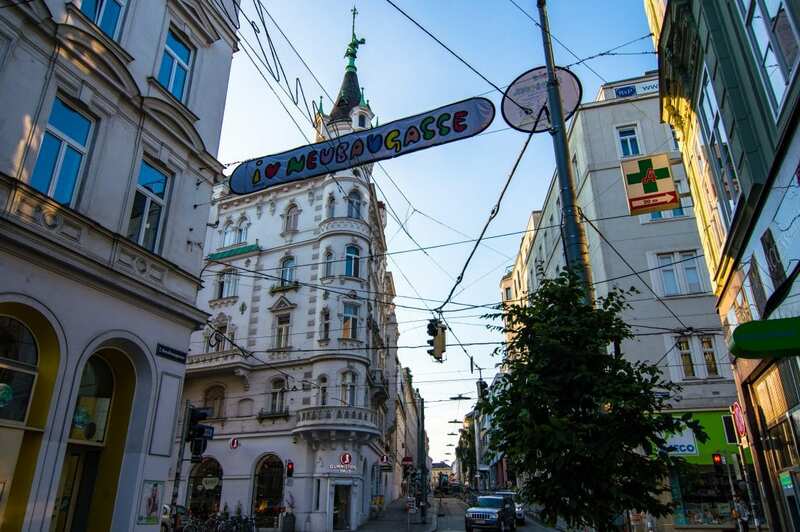 The hostel below is one of best hostels in Vienna, and you can find our full list of recommended hostels in Vienna here. We visited all of these places ourselves, and can vouch for their awesomeness. We quite enjoyed our three night stay in Hostel Ruthensteiner. Founded in 1968 the hostel has decades of experience catering to independent travelers, and it really shows in every aspect of their operation. Ruthensteiner has ample communal space, a fantastically outfitted kitchen (one of the best we have ever seen in a hostel to be honest), on-site laundry facilities, outdoor space with grills for BBQing, a musical instrument library, and an unbelievably friendly front desk staff that’s around 24/7 and can answer all your questions. Ruthensteiner’s ambiance and friendly atmosphere make it one of the best hostels in Vienna, we reckon. 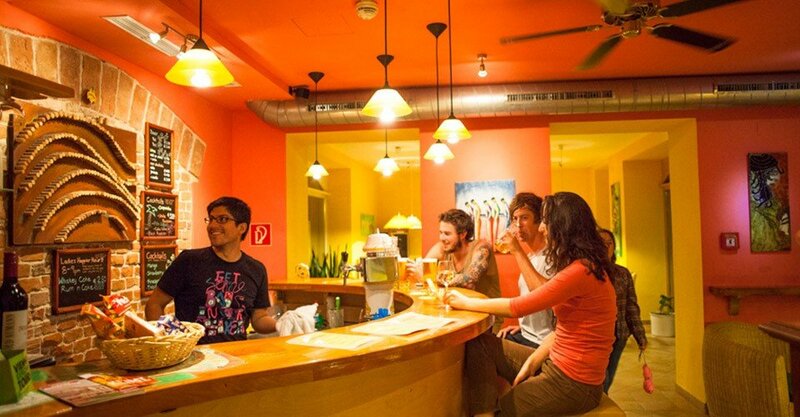 Click here to book your stay at Hostel Ruthensteiner on HostelWorld. 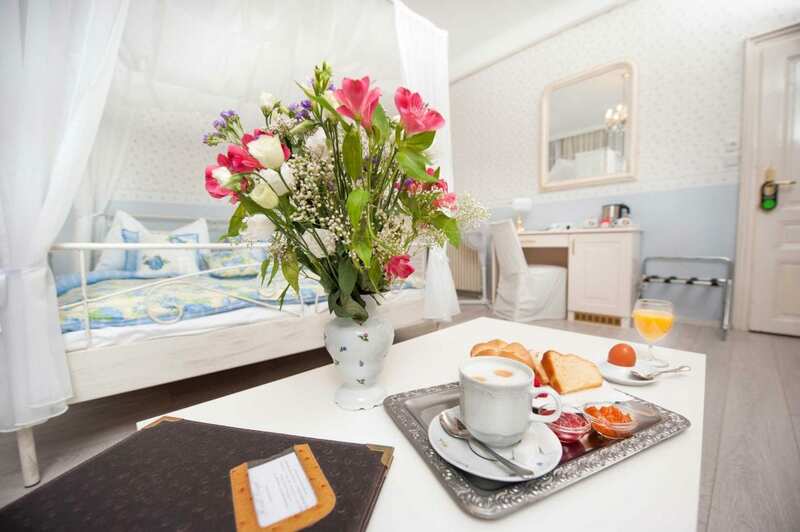 Hotel Kugel is a highly rated, family-run hotel located within a 5-minute walk to the Mariahilfer Strabe shopping street and Museum Quarter. The hotel has individually decorated rooms, a fantastic breakfast, and friendly staff. Click here to book your stay at Hotel Kugel on Booking.com. That does it for our guide of things to do in Vienna guys. Hope we gave you some inspiration for YOUR visit to this stately city. As always happy travels, and we’ll see you on the road! these things of vienna is looking so good. specially imperial palace, it is looking so good and photos you shared in this post are looking amazing. This is one of the best reads I’ve found on Vienna, so thank you! I have bookmarked for when I manage to visit myself! Great photos too! 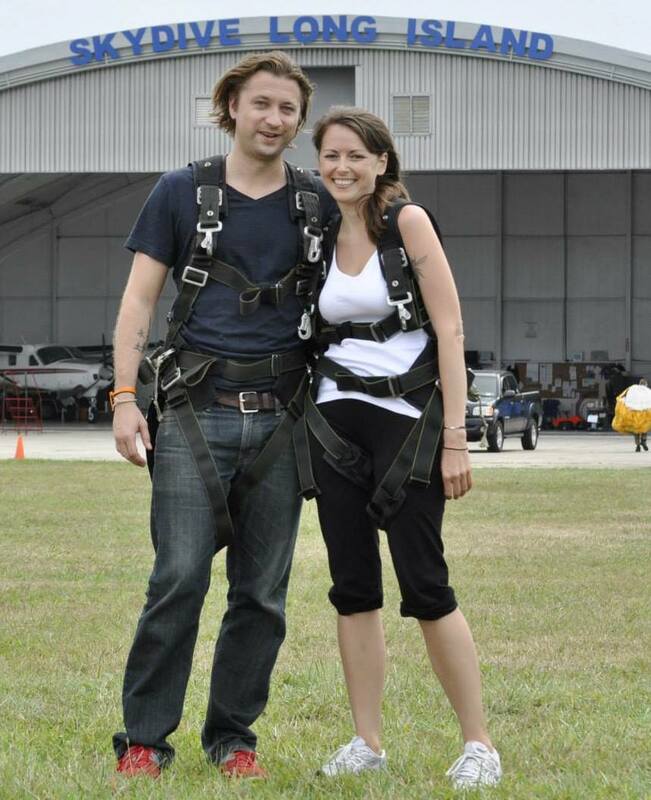 Great list – looking forward to our visit later this year! Do you have any article about Salzburg and Hallstatt? Going there too.